WHICH KIT DO I NEED FOR MY GARAGE DOOR? There are 3 models in the MyQ Evolution range, each with a different specification. Which one you need depends on both the size and weight of your door, these are listed below. Each version carries a different length warranty period of up to a huge 7 years so you can buy with complete confidence. The Evolution range is MyQ enabled meaning that with the addition of the internet gateway you can access more advanced features. Offering the ultimate in security and convenience; by connecting to your home router, you can control and monitor your garage doors from your mobile phone. Garage doors are an obvious ‘break-in’ point to your home so MyQ will notify you if your doors are opened whilst you are away. Being able to give access to friends, family and even delivery drivers from anywhere in the world is another advantage of MyQ as well as not having to carry around remote controls which are easily lost. 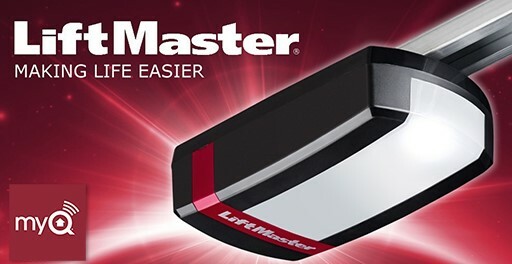 The LiftMaster range of electric garage door openers offer outstanding performance, energy efficiency and reliability when automating all types of garage doors including wooden, shutter, up and over and sectional doors. With up to 7 years warranty and our expert technical support, you can rely on us to provide the best garage door automation products and customer service in the industry.